Trailhead: Take Hwy 28 South along the East Shore and look for an iron gate on the lake side of the road, about 2 miles north of the Hwy 50 turnoff. Park in one of the turnouts along the highway and do not block the gate. 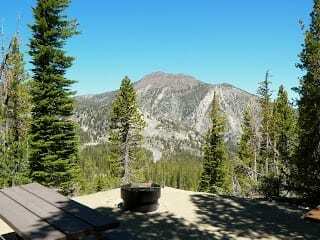 Description: This is a great, easy walk through a mixed conifer forest with views of the Lake along the way. Look for the remains of an 1870’s railroad grade that was once built to supply timber to Virginia. At the fork in the road, bear left towards wildflower-laden Prey Meadows or right to a small, picturesque swimming cove called Skunk Harbor.